Looking to update your accessories for autumn and winter? 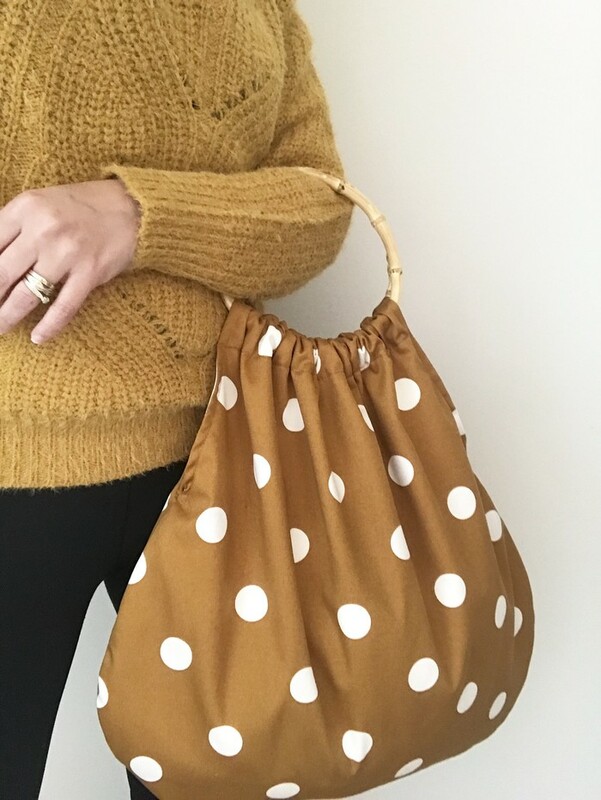 Whether you call it mustard, ochre or vintage copper, this handbag is right on trend with white polka dots on a mustard brown background. The handbag is made from strong fabric and fully lined. It has bamboo handles which add some retro glam and a handy internal pocket to hold your phone and purse. 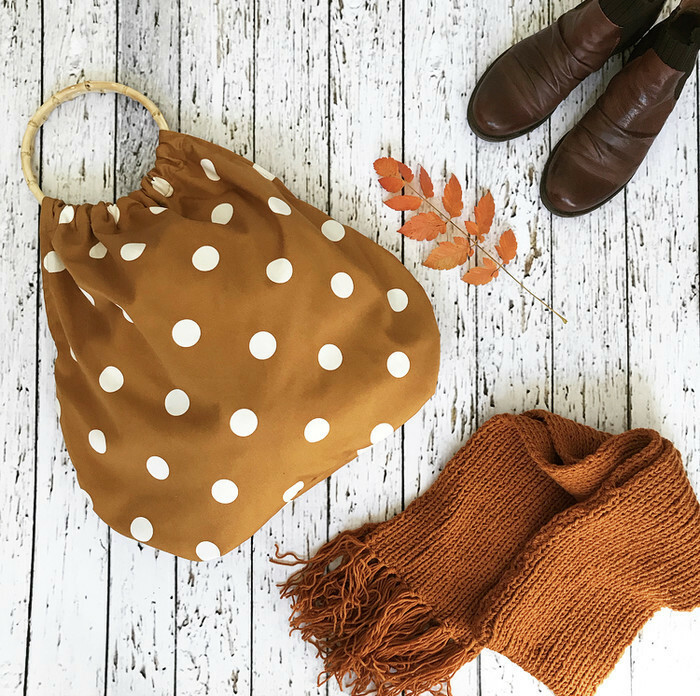 The bag’s generous size means it can easily fit shopping, groceries, nappies, bottles or even some swimmers and a towel for the beach. 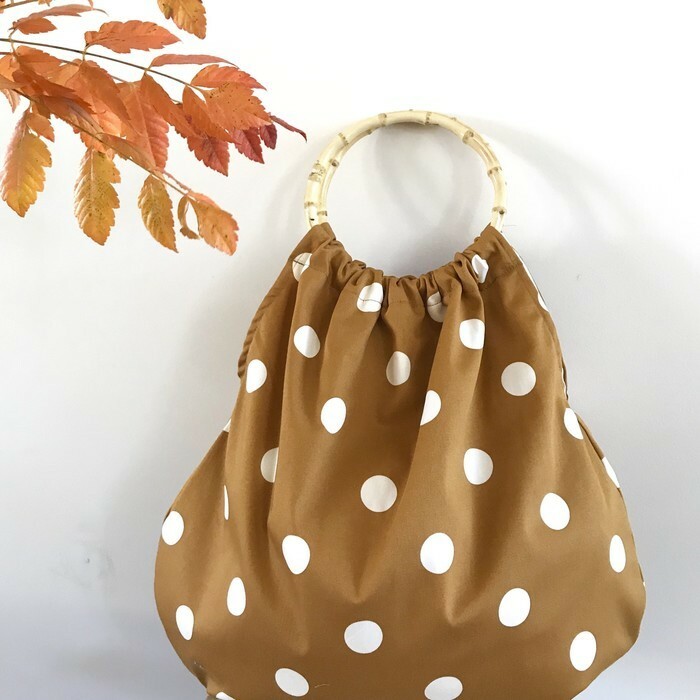 It measures approximately 40cm from the bottom of the handles to the base of the bag and around 45cm across at the widest point. The handles are 15cm in diameter. Great to treat yourself or as a useful gift for the friend, mum or daughter who has everything!